Saturday night found me looking at the sky in awe. Bright red and yellow leaves floated down from the maples and oaks surrounding us as dusk fell, illuminating the sky like falling stars. Yes. I know. Trips like this are our ammunition against time flying by unnoticed. Watching autumn leaves fall to the ground is a portal into the timeless, the purest form of meditation possible. 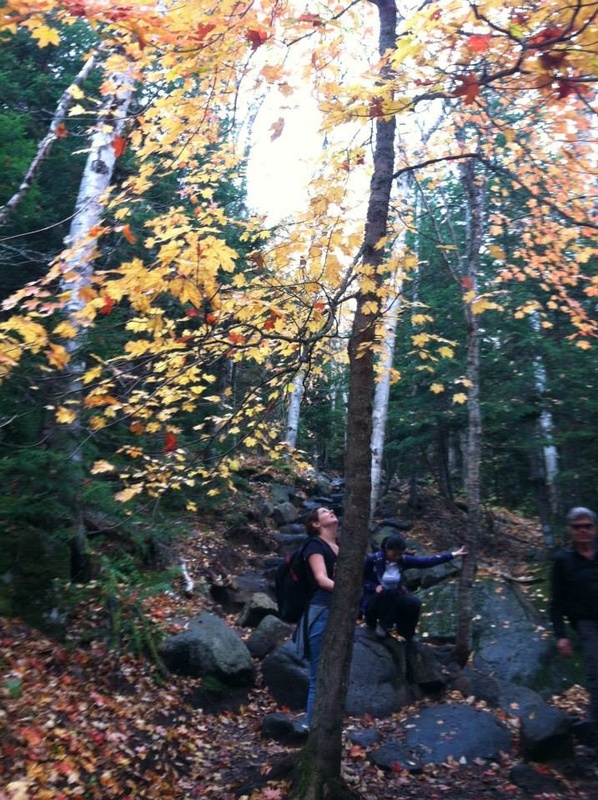 Leaf-peeping on the hike up Cascade Mountain. 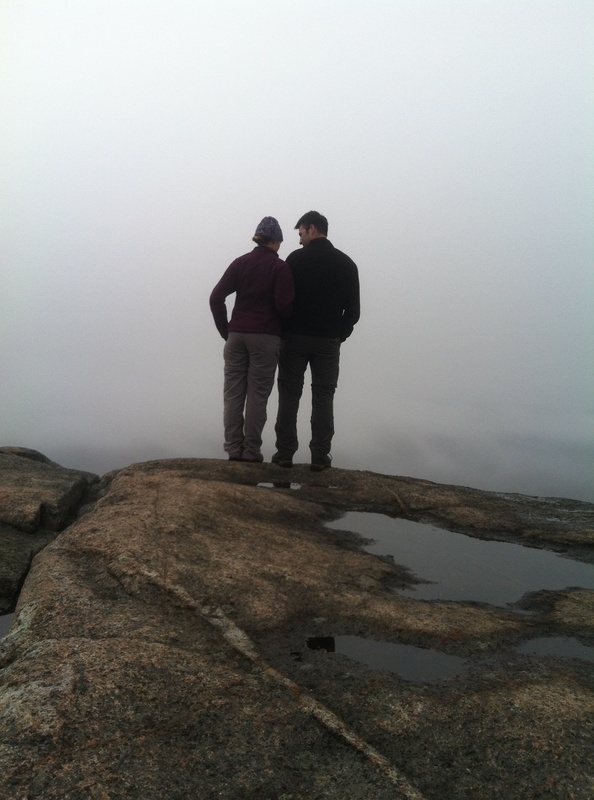 Pondering the view from the summit of Cascade Mountain. We arrived back at our tent feeling spent but exhilarated, ready for what the next day would bring. 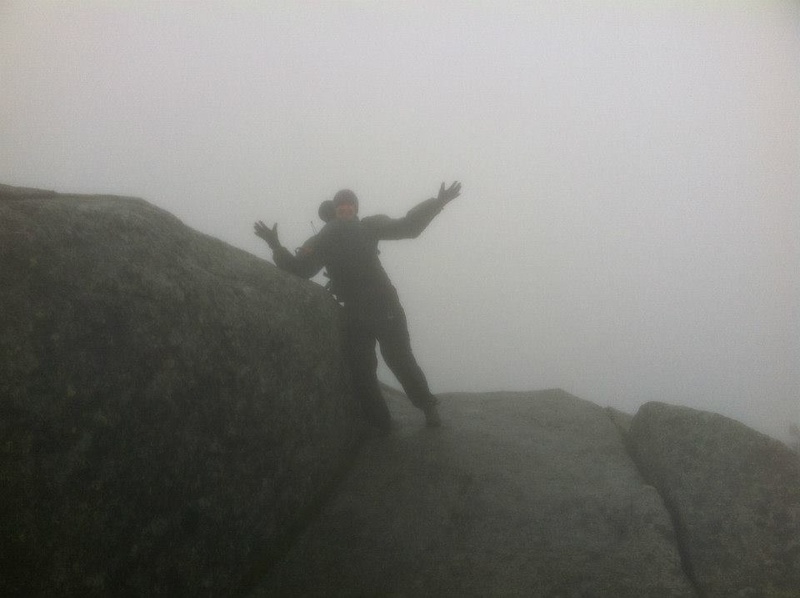 I braced myself against a rock for this summit-celebration shot. As it turned out, the next day brought adventure in the form of hurricane-force winds on the summit of Wright Peak, our second high peak. 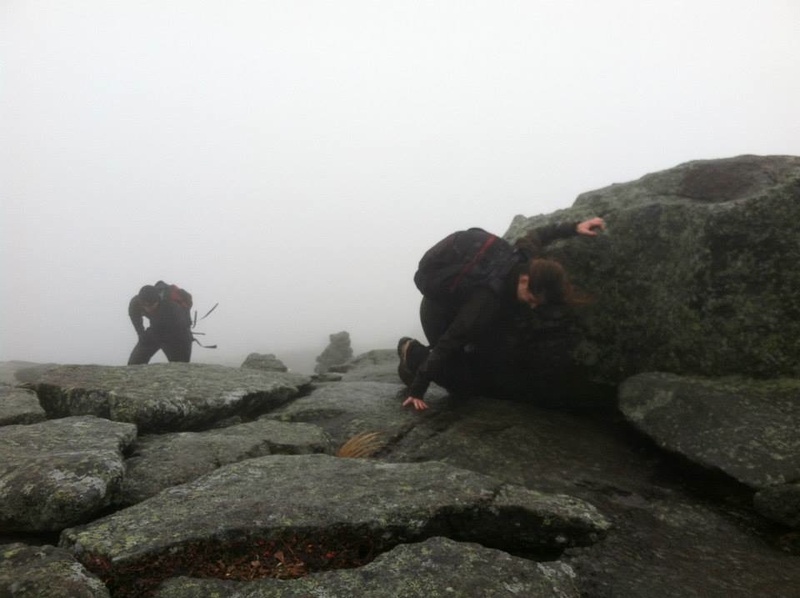 The gusts were strong enough to knock a person over, so we half-walked, half-crawled to the summit, where we quickly hung onto a rock for support. It was another kind of meditation: You know that if your mind starts to wander, you might not make it back down in one piece. The climb up Wright Peak required unwavering focus. After a soggy hike downhill, we headed back home. 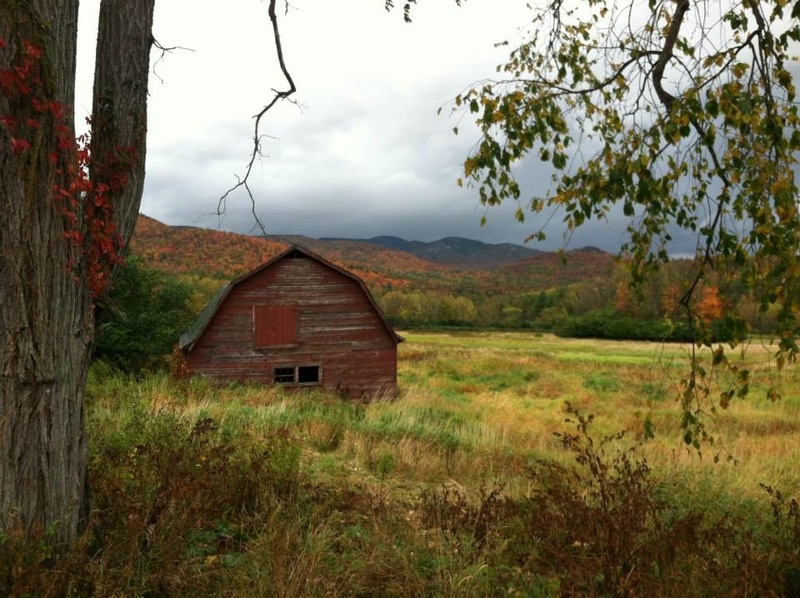 Hikes like the ones above make views like the one below, spotted near the town of Keene on the ride back to Saratoga Springs, even sweeter. Thanks for the tip on my hips! And I’ve been doing a number of glute-activating PT stuff for the past few months (I assumed that would have helped, but it just seems like my form is ‘uglier’ now than it used to be). But, maybe I wasn’t working the right stabilizes/muscles. I’m adding those band-walk-thingies in, woo hoo! Wow, beautiful! I admire the way you are making the most of wherever you are, taking every adventure available to you.